First meeting of International Metropolitan Trail Association. InspiralLondon is one city trail in the living archive exposition at MuCem Marseille (Museum of European and Mediterranean Civilisations). An exhibition within Connectivities, Inspiral shows as part of the growing network of International Metropolitan Trails completed, designed or envisaged. A vitrine display of trails with archive material from ‘on the ground mapping’ of London’s first spiral trail also included: Terres communes- Sentier du Grand Bordeaux 1999; Sentieri Metropolitani-Sentier du Grand Milan 2008; Gr2013- Sentier du Grand Marseille; Entre deux mers- Sentier du Grand Istanbul 2013; SMGP- Sentier du Grand Paris 2014; Houmani- Sentier du Grand Tunis 2014; Provence Express- Sentier du Grand Avignon 2015; Buro fur Stadtereisen- Sentier du Grand Cologne 2017. InspiralLondon would like to thank MT (Baptiste Lanaspeze and Paul-Herve Lavessiere) for inviting us to take part in the exhibition and for hosting the inaugural meeting of the International Metropolitan Trail Association. Four days of walks, art, talks and exploration within London and North Kent celebrating the completion of the Inspiral trail. This newly created artist designed trail explores and exposes the unique connections crisscrossing the Metropole. Connections and dissonances that range across an extraordinary diversity of people, places and ideas. As we end our ‘on the ground mapping’ of the pathway and begin again in Gravesend, the festival focuses particularly on our Kent connections: by delving into recent radical politics, the re-integration of the city and the country; visions of the Metropole future/past; in exploring aspects of the strange, the uncanny and unexpected. InspiralKent seeks to foster a shared enthusiasm for exploration through hospitality and radical artistic research; re-imagining the built environment, as a place of extraordinary variety, contrast and potential by creating a walk through the places we no longer see or have forgotten. The festival opens with an intriguing walk back through Mary Wollstonecraft’s London with Inspiral Director Charlie Fox. Meeting at Southwark station at 11am, we head north towards the Polygon at Euston, as we pass through Emmanuel Swedenborg’s Cityscape. An evening of talks exploring visions of the metropole and connections between outer and inner London, set within the historic Swedenborg House. Topics of discussion include urban planning, deep roots, and literature in the city and greater metropole. Join us from 6-6:30pm for welcome drinks (free drink with a ticket), with talks beginning promptly at 6:30pm. Speakers include writer Ken Worpole (‘Radical Essex’); Sarah Spanton (artist, urban planner); Hayley Newman (artist); and Charlie Fox (Director InspiralLondon). Ken Worpole, ‘Memories of the Future’: as part of the Radical Essex project, Ken has been researching the rise of 19th & 20th century communitarian settlements in the Essex landscape as outposts of East London radical politics and present on the political dynamic which sought to re-integrate the city and the country. Artist-planner Sarah Spanton will discuss her recent journey from artist/performer and arts professional to planner with ‘Navigating the Line’: thinking through the artist’s role in civic society, artist’s as activators of social change and the issues in ‘navigating the line’ between the two roles of planner and artist. Hayley Newman will present ‘Facadism’, on theme of walking in relation city surfaces. Charlie Fox will talk ‘Spin, Spirals and Dickensizen: Towards a Topoanalysis of Homelessness’: this talk spins us from Swedenborg Hall to the outer spaces of the metropole into North Kent. The evening concluded with audience discussion, chaired by Dr. Cecilia Wee. InspiralLondon took part in Soundcamp Reveil, which began at 5am London time (UTC+1) and travelled west just ahead of sunrise on a wave of live sounds relayed by streamers around the world: passing from urban rooftops to deep ocean hydrophones to remote forests in a 24-hour audit of the earth on International Dawn Chorus Day. More info about Soundcamp here. 1 April 2017 2:30pm – The Beautification Committee research group. 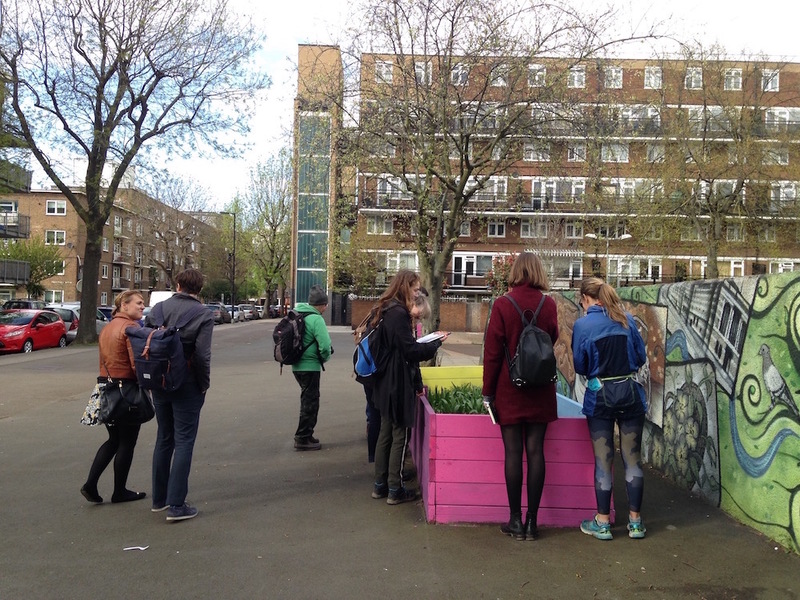 InspiralLondon co-organised festival of walks in April with CoolWalks and CGP London, including an open walking workshop on the subject of Beautification in Southwark Park as well as local estates. We have also created a commission for a pamphlet with an artist’s map based on Ada Salter’s 1920 Beautification Committee, which developed much of the green space, mature trees and landscaping schemes we know today. The draft Beautification pamphlet launched on 13 August at CGP London as part of the Bermondsey Artists’ Group show, Common and Garden. A re-designed version of the map/pamphlet tracking the Poplar trees, planted by the original Beautification Committee, found along the route of Inspiral will be launched on 22 July as part of London as National Park City Week (21-22 July 2018). InspiralLondon Festival picked up by Art & Architecture Journal / Press ~ Art ~ Architecture ~ Visual Culture. 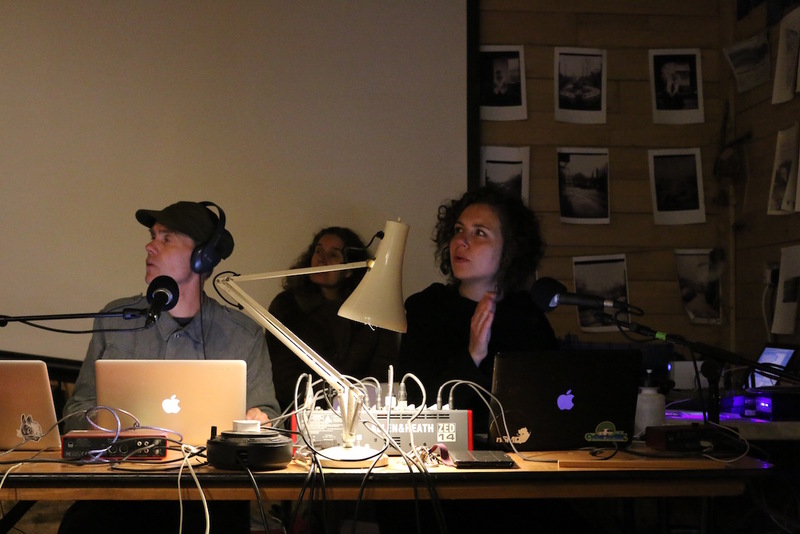 Artists Rebecca Feiner and Calum F Kerr discussed alternative ways of walking London with Charlie Fox (Counterproductions, Inspiral London) and Clare Qualmann (walking artists network, walkwalkwalk, Perambulator). With an appearance by J. D. Swann, Muswell Hill’s leading Ornithological Investigator. 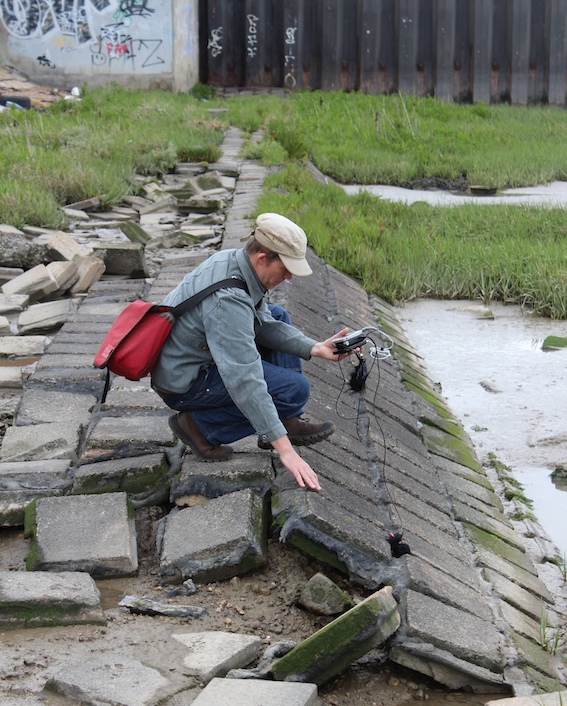 Soundcamp and Detours 2/InspiralLondon collaborated on a live broadcast from the Thames estuary at Gravesend (near to Tilbury Docks, London) on the morning of Saturday 20 June 2015 from 10.00-12.00 BST, linked to fluid states north (Amager, Copenhagen) and the Artist Porous Studio. Soundcamp streamed explorations of the south shore Thames, the crossing via small passenger ferry to the north bank and further soundings from the north side of the River near to the fort, along the tidal foreshore. This whole estuarine landscape comprising wetlands, reedbeds and mudflats directly impacted by changing sea levels, evokes shifting lines between marine and urban, and human and nonhuman communities. The first collective meeting for artist-led mapping of the new Inspiral walk trail through and out of London took place at the Shed, Stave Hill Ecology Park, on Sunday 6th July 2014. Artists shared work and discussed Detours in Marseille Provence, an international artistic exchange project hosted by decentrederspace. Counterproductions Director Charlie Fox first discussed the idea of creating a Metropolitan Trail in London with Baptiste Lanaspeze in November 2013. 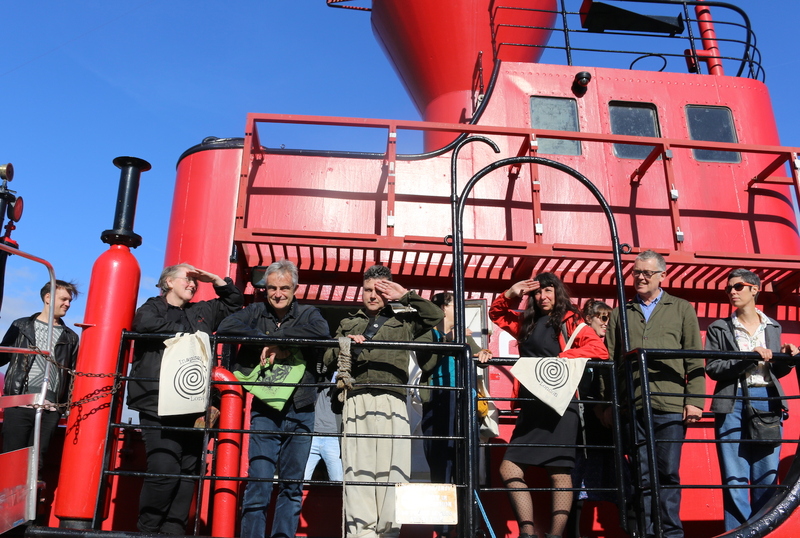 Over the next year in discussion with a number of artists and interested parties the spiral trail took shape. It was launched in June 2015. Inspiral associate artists recently finished the on the ground mapping of the complete trail in October 2017. The trail is available to follow as a googlemap and a full trail map was published in March 2018.